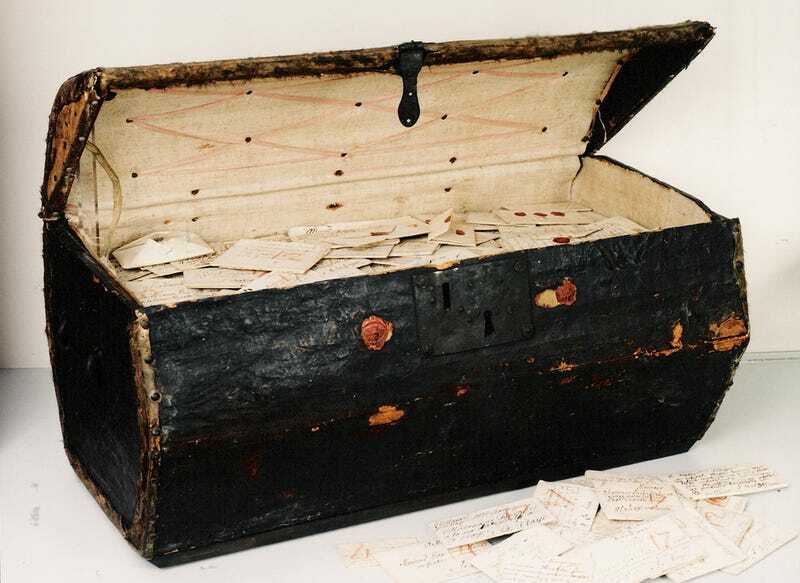 The 300-year-old linen-lined trunk is filled with over 2,600 letters that were mailed out—but never received—between the years 1680 and 1706. Historians are now taking a closer look. The trunk, ignored for centuries, had been stored away by a Dutch postmaster in the Netherlands. The extraordinary collection contains letters from all manner of society, including aristocrats, merchants, lovers, actors, musicians, and even spies. At least 600 of the 2,600 letters have never even been opened. The trunk had been given to a postal museum in the Hague back in 1926, but it only recently came to the attention of researchers. An international team from Leiden, Oxford, MIT, and Yale are taking part in this project, called Signed, Sealed, & Undelivered. Ahrendt accidentally came across the collection while tracking a theater troupe that worked at The Hague in the 18th century. The collection of letters was an effort by postmasters to profit from their business. Back then, recipients had to pay for received letters, so if the letters were undelivered, the postmasters were hoping to receive payment from anyone trying to find them. Other letters express concerns we’re still familiar with today, including parents worried about children, and wives angry at delinquent husbands. The collection also contains unique letters sent between Huguenot family members, pointing to the emotional toll that displacement and migration could take in the early modern period. The researchers don’t want to perturb the collection by opening the sealed letters. To find out what’s inside, they’re planning on using various scanning techniques, such as X-ray technology.